Spare a thought for the Coptic Christian’s of Egypt & all Christian minority groups throughout the world in these troubled times. Those who live in lands controlled by the Mad Men of Islamic State & their shameful, demonic worldwide Terrorist Franchise are being killed and slaughtered every-single-day. Sadly the world is so busy and overwhelmed by the never ending Terror on our own streets that we hardly seem to notice. These mad extremists hate us because in their eyes we are “infidels” and they are consumed by their deluded , twisted , evil ideology , built on hate , paranoia and policed by the dark arts of the wicked Sharia Law. 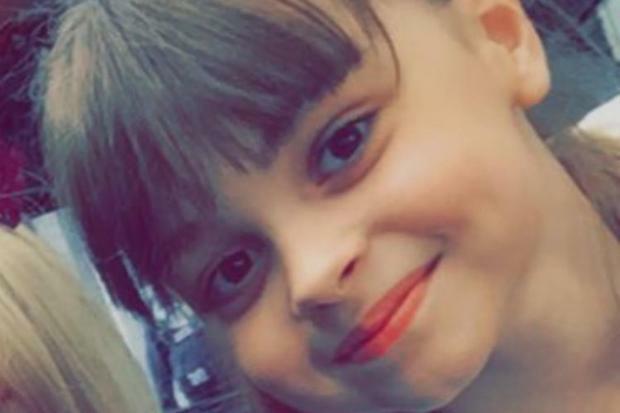 The events in Manchester this week has shocked and sicken all decent people the world over and the sad fact is we are now living in a new age off Terrorism , where there are no longer ANY Boundaries , both ethically and demographically and the slaughtered of the most vulnerable and young among us is no longer sacred. Islamic Extremists seem to permeate & engulf our daily lives and sadly they aren’t going to go away any time soon. Like many I have shed tears for the victims of this unspeakably evil act and watching their families on the TV and their emotional agony breaks my heart every single time. The victims in Egypt are also victims of this modern curse and my thoughts and prayers are with their families. We are all “Prey” to these Islamic Monsters and someway , somehow we have to destroy this hate filled twisted ideology and eradicate it and all its followers from the history of the mankind. An Islamic State affiliate released a video Monday vowing that Egyptian Christians are their “favourite prey,” showing images of a suicide bomber who killed nearly 30 people inside a packed Cairo church in December. one of the militants carrying an AK-47 assault rifle says in the 20-minute video. The video shows footage of Abu Abdullah al-Masri, a masked militant who blew himself up at the central Cairo church in December, killing 28 people, most of which were women and children. The attack, says a narrator, was “only the beginning. ISIS claimed responsibility for the church bombing, which was its deadliest attack in Egypt outside the Sinai Peninsula, according to Reuters. 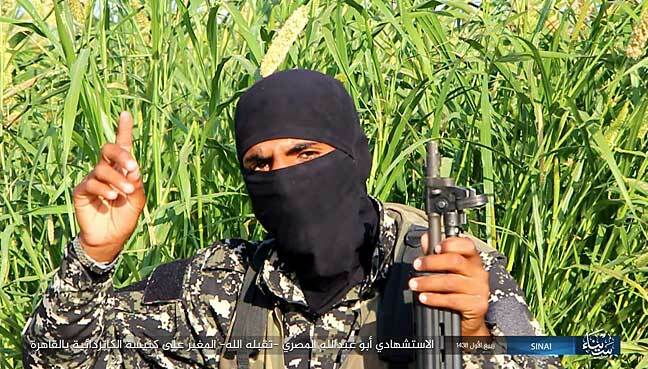 Prior to the attack, Abu Abdullah al-Masri had been detained for two months in 2014 before joining Wilayat Sinai, the name of the ISIS branch in Sinai, the Egyptian government said. Wilayat Sinai has claimed responsibility for dozens of suicide bombings and attacks, mainly targeting security forces and military across the country but primarily in Sinai Peninsula, where the army has been leading an anti-terrorism operation for years. Other estimates of the ethnic Coptic population within Egypt range between 9 and 15 million. Under Muslim rule, the ethnic Copts were cut off from the mainstream of Christianity, and were compelled to adhere to the Pact of Umar covenant, thus assigned to Dhimmi status. Their position improved dramatically under the rule of Muhammad Ali in the early 19th century. He abolished the Jizya (a tax on non-Muslims) and allowed ethnic Copts to enroll in the army. Pope Cyril IV, 1854–61, reformed the church and encouraged broader Coptic participation in Egyptian affairs. Khedive Isma’il Pasha, in power 1863–79, further promoted the Copts. He appointed them judges to Egyptian courts and awarded them political rights and representation in government. They flourished in business affairs. In 1952, Gamal Abdel Nasser led some army officers in a coup d’état against King Farouk, which overthrew the Kingdom of Egypt and established a republic. Nasser‘s mainstream policy was pan-Arab nationalism and socialism. The ethnic Copts were severely affected by Nasser’s nationalization policies, though they represented about 10–20% of the population. In addition, Nasser’s pan-Arab policies undermined the Copts’ strong attachment to and sense of identity about their Egyptian pre-Arab, and certainly non-Arab identity which resulted in permits to construct churches to be delayed along with Christian religious courts to be closed. Many Coptic intellectuals hold to “Pharaonism,” which states that Coptic culture is largely derived from pre-Christian, Pharaonic culture, and is not indebted to Greece. It gives the Copts a claim to a deep heritage in Egyptian history and culture. Pharaonism was widely held by Coptic and Muslim scholars in the early 20th century, and it helped bridge the divide between those groups. However, some Western scholars today argue that Pharaonism was a late development shaped primarily by Orientalism, and doubt its validity. Religious freedom in Egypt is hampered to varying degrees by discriminatory and restrictive government policies. 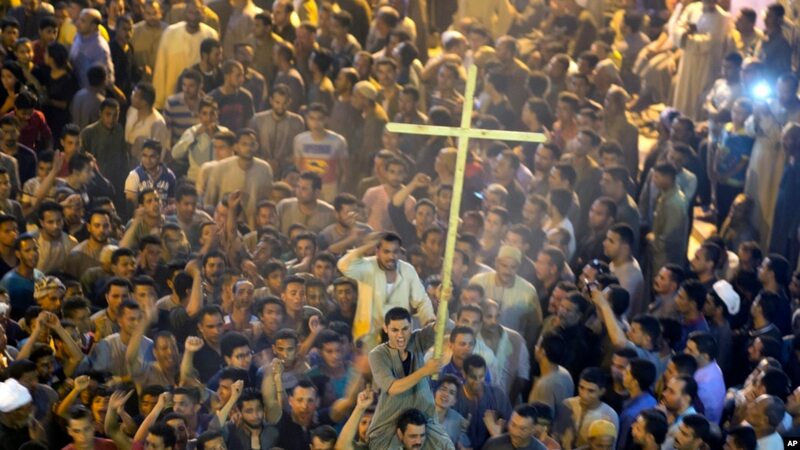 Coptic Christians, being the largest religious minority in Egypt, are also negatively affected. Copts have faced increasing marginalization after the 1952 coup d’état led by Gamal Abdel Nasser. Until recently, Christians were required to obtain presidential approval for even minor repairs in churches. Although the law was eased in 2005 by handing down the authority of approval to the governors, Copts continue to face many obstacles and restrictions in building new churches. These restrictions do not apply for building mosques. The Coptic community has been targeted by hate crimes resulting in Copts being victims of murder by Islamic extremists. The most significant was the 2000–01 El Kosheh attacks, in which Muslims and Christians were involved in bloody inter-religious clashes following a dispute between a Muslim and a Christian. “Twenty Christians and one Muslim were killed after violence broke out in the town of el-Kosheh, 440 kilometres (270 mi) south of Cairo”. International Christian Concern reported that in February 2001, Muslims burned a new Egyptian church and the homes of 35 Christians, and that in April 2001 a 14-year-old Egyptian Christian girl was kidnapped because her parents were believed to be harboring a person who had converted from Islam to Christianity. In 2006, one person attacked three churches in Alexandria, killing one person and injuring 5–16. The attacker was not linked to any organisation and described as “psychologically disturbed” by the Ministry of Interior. In May 2010, The Wall Street Journal reported increasing waves of mob attacks by Muslims against ethnic Copts. Despite frantic calls for help, the police typically arrived after the violence was over. The police also coerced the Copts to accept “reconciliation” with their attackers to avoid prosecuting them, with no Muslims convicted for any of the attacks. In Marsa Matrouh, a Bedouin mob of 3,000 Muslims tried to attack the city’s Coptic population, with 400 Copts having to barricade themselves in their church while the mob destroyed 18 homes, 23 shops and 16 cars. Members of U.S. Congress have expressed concern about “human trafficking” of Coptic women and girls who are victims of abductions, forced conversion to Islam, sexual exploitation and forced marriage to Muslim men. Boutros Boutros-Ghali is a Copt who served as Egypt‘s foreign minister under President Anwar Sadat. Today, only two Copts are on Egypt‘s governmental cabinet: Finance Minister Youssef Boutros Ghali and Environment Minister Magued George. There is also currently one Coptic governor out of 25, that of the upper Egyptian governorate of Qena, and the first Coptic governor in a few decades. In addition, Naguib Sawiris, an extremely successful businessman and one of the world’s 100 wealthiest people, is a Copt. In 2002, under the Mubarak government, Coptic Christmas (January 7) was recognized as an official holiday. However, many Copts continue to complain of being minimally represented in law enforcement, state security and public office, and of being discriminated against in the workforce on the basis of their religion. Most Copts do not support independence or separation movement from other Egyptians. The Coptic community, however, takes pains to prevent conversions from Christianity to Islam due to the ease with which Christians can often become Muslim. Public officials, being conservative themselves, intensify the complexity of the legal procedures required to recognize the religion change as required by law. Security agencies will sometimes claim that such conversions from Islam to Christianity (or occasionally vice versa) may stir social unrest, and thereby justify themselves in wrongfully detaining the subjects, insisting that they are simply taking steps to prevent likely social troubles from happening. In 2007, a Cairo administrative court denied 45 citizens the right to obtain identity papers documenting their reversion to Christianity after converting to Islam. However, in February 2008 the Supreme Administrative Court overturned the decision, allowing 12 citizens who had reverted to Christianity to re-list their religion on identity cards, but they will specify that they had adopted Islam for a brief period of time. In December … Brotherhood leaders began fomenting anti-Christian sectarian incitement. The anti-Coptic incitement and threats continued unabated up to the demonstrations of June 30 and, with the removal of President Morsi … morphed into sectarian violence, which was sanctioned by … the continued anti-Coptic rhetoric heard from the group’s leaders on the stage … throughout the sit-in. An Egyptian court on February 25, 2016 convicted four Coptic Christian teenagers for contempt of Islam, after they appeared in a video mocking Muslim prayers. Nearly all Egyptian Christians today are ethnic Copts, adherents of either the Coptic Orthodox Church or other Coptic churches.